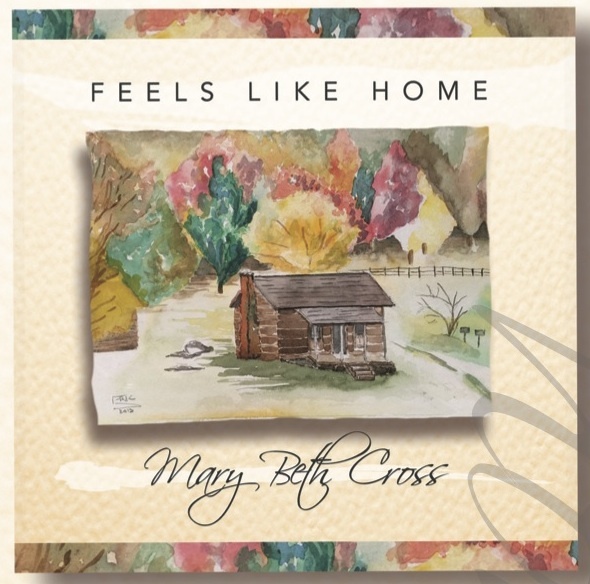 DENVER (November 2016) – "Feels Like Home", a bluegrass EP by award-winning folk-Americana artist Mary Beth Cross, is under consideration for several Grammys. * Best Bluegrass Album - "Feels Like Home". * Best American Roots Song - "Threshing Time". * Best Americana Roots Performance - "Kathy's Song" and "Long Long Time". The EP and selected songs have received airplay on terrestrial and online radio stations around the world, including KVMR-FM in California, WIKX-FM in Florida, KXCI-FM in Arizona, WBAA-FM in Indiana, WPKN-FM in Connecticut, KRFC-FM in Colorado, WIUP-FM in Pennsylvania, WWSP-FM in Wisconsin, WFMT-FM in Illinois, and WAGS-AM in South Carolina. FolkDJ ranked "Feels Like Home" number 31 for radio airplay during the month of June. "Feels Like Home" debuted at number one on the APD Americana/AAA Albums chart. To download selections from the EP, visit https://itunes.apple.com/us/album/feels-like-home-ep/id1097215219. "It's wonderful to see my music touching people as far away as New Zealand," said Cross, whose last album, "Beyond Good and Evil", was named "2014 Folk-Country CD of the Year" by the National Traditional Country Music Association. "My latest project includes cover songs that are part of the tapestry of my upbringing in Wisconsin, as well as originals that reflect my current home in Colorado. Good memories or sad memories are evoked by some of my favorite songs."